Microchip recently developed a precision power-and-energy-monitoring chip – PAC1934. The PAC1934 is a four channel power/energy monitor with current sensor amplifier and bus voltage monitors that feed high-resolution ADC. It works in conjunction with a Microchip software driver that is fully compatible with the Energy Estimation Engine (E3) built into the Windows 10 operating system. The whole setup provides 99 percent accuracy on all battery-powered Windows 10 devices. The PAC1934 enables energy monitoring with a wide range of integration periods from 1 ms to up to 36 hours. Combining Microchip’s PAC1934 chip and Microsoft’s E3 service can enhance the measurement of battery usage by different applications up to 29 percent. The sophisticated digital circuitry of the IC performs power calculations and energy accumulation precisely. 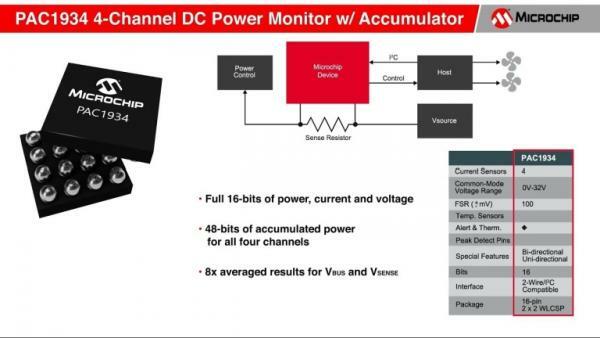 The PAC1934 is able to measure voltage accurately as low as 0V and as high as 32V. 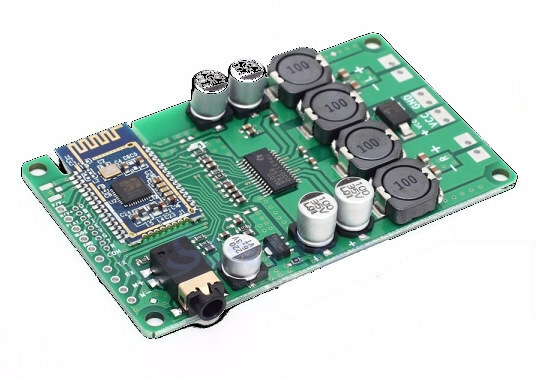 This ability lets the chip precisely measure power usage from the Central Processing Unit (CPU) as well as from software running on devices connected through a USB Type-C connector. The chip has features that could make it an essential part of future software upgrades. No input filters are required for this chip as it uses real-time calibration to suppress offset and gain errors. The PAC1934 measures bus voltage, sense resistor voltage, and accumulated proportional power. Then stores the data in 16-bit registers for retrieval by the system master or embedded controller. The data transfer between the chip and the host system is performed over SMBus or I2C. The sampling rate and energy integration period can also be controlled similarly. Another important feature is its highly configurable controls, such as Active channel selection and one-shot measurements.